We all have our own workflow and a way of doing things. It doesn’t matter if we use pen & paper or some online tool, we pretty much stick to doing things `our` way. 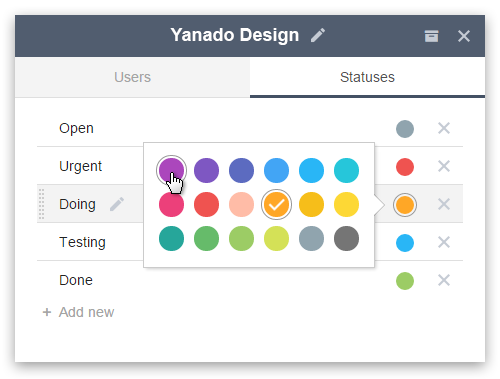 Yanado is made to help you work faster and smoother – its goal is to be extra-customizable and adjustable to your workflow. 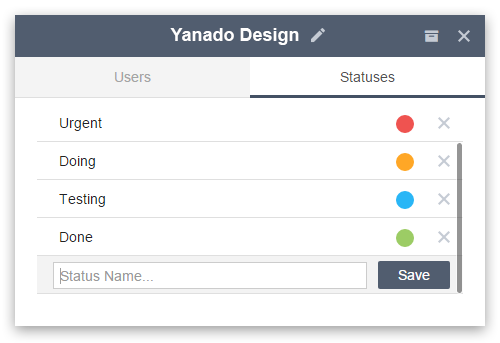 So, we are happy to announce a new feature: Custom Statuses for your tasks. Every TO-DO list has a default set of statuses: Open, Doing, Done. Now you can change those and create your own! Production ready – tasks ready for deployment etc. Click here to check this super-short video to see how that works. Any comments and suggestions are more than appreciated.